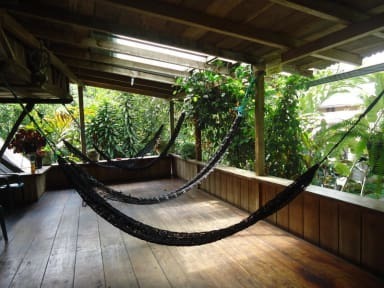 La Casa de Cecilia is a small, friendly hostel located by the river in a calm, natural environment but still only a few minutes walk to the central square where many cafés and restaurants are located. Feel free to ask us about activities such as zip-lining, canyoning, tubing, waterfalls, butterfly farm and chocolate tour. We will be happy to help you!